Busy Bees at Great Yarmouth - Healthy Me! 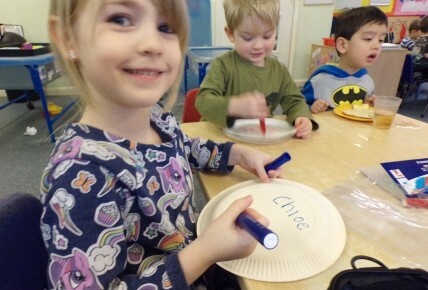 The children in pre-school room have been making healthy dinner plates today. 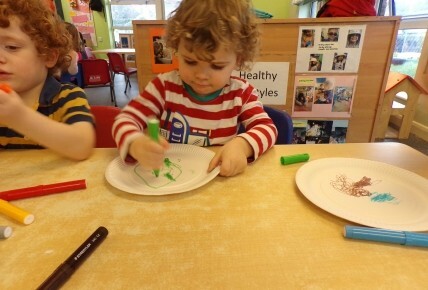 The children were given a range of different coloured pens and were asked to draw their favourite healthy snacks. The children and staff had discussions about what foods they thought were good for their body and what foods are bad for us. 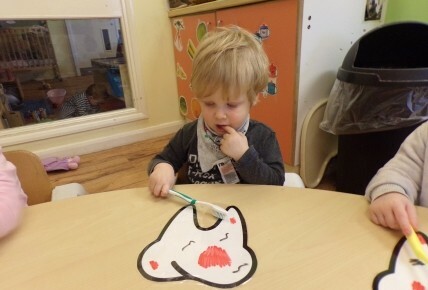 The children in Rainbow room have also had lots of fun learning about keeping our mouths healthy! 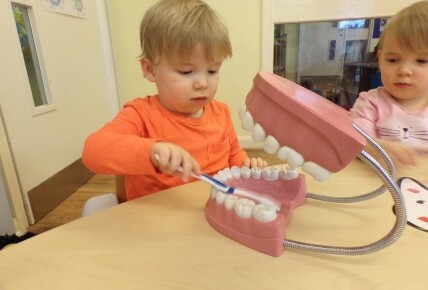 The children used some toothbrushes to scrub the dirt from the teeth and 'Mr Crocosmile' our dentist puppet explained to the children why we brush our teeth and when we do this. 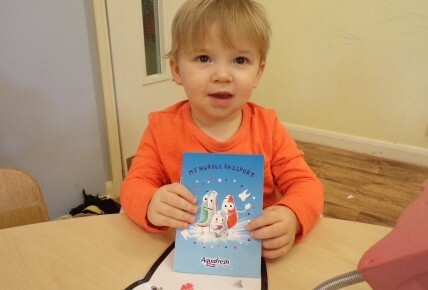 The children were all given a healthy teeth passport to take to the dentist everytime they visit.